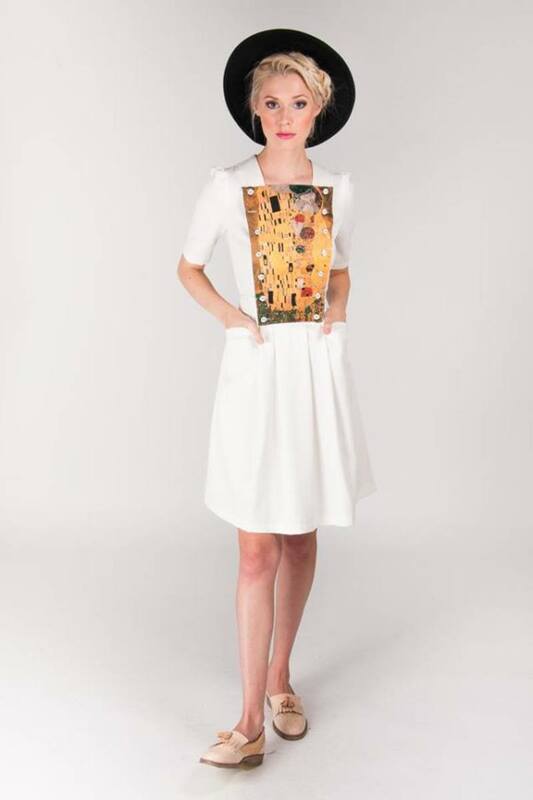 Wear-Arts dress in ivory. Dress has zipper on the back and comfy pockets. <br> <br>Art panels are created to match all styles and sizes. You can button them on and off very easily. <br> <br>Material: CO + PL + EA <br>Care instructions: washing machine <br>Product is made in Estonia.